Is it better to have a new parking lot on campus or use that space to develop a community garden? 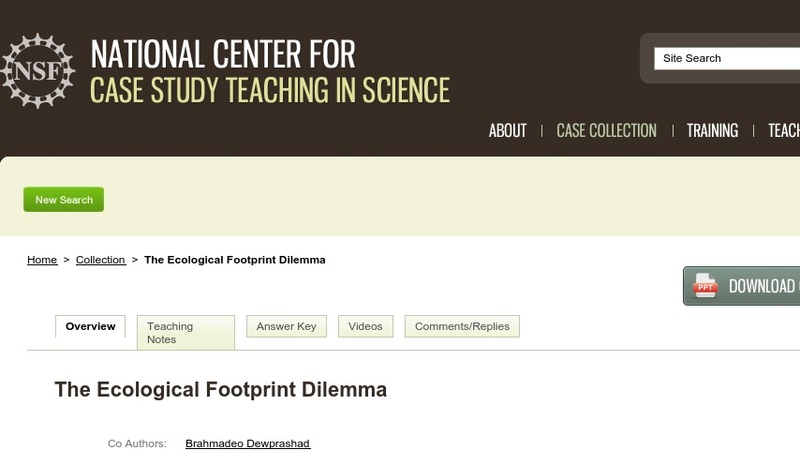 This is the issue presented in this "clicker case," which pulls students into the decision-making process. Students learn about concepts related to sustainability and the challenges of developing more sustainable life styles. They also calculate their ecological footprint. The case combines the use of personal response systems (clickers) with case teaching methods and formats. It is presented in class using a series of PowerPoint slides (~800KB) punctuated by questions that students respond to before moving on to the next slide. Written for a non-majors introductory biology class, the case also is suitable for use in courses in ecology, environmental science, conservation biology, environmental studies, and general biology.